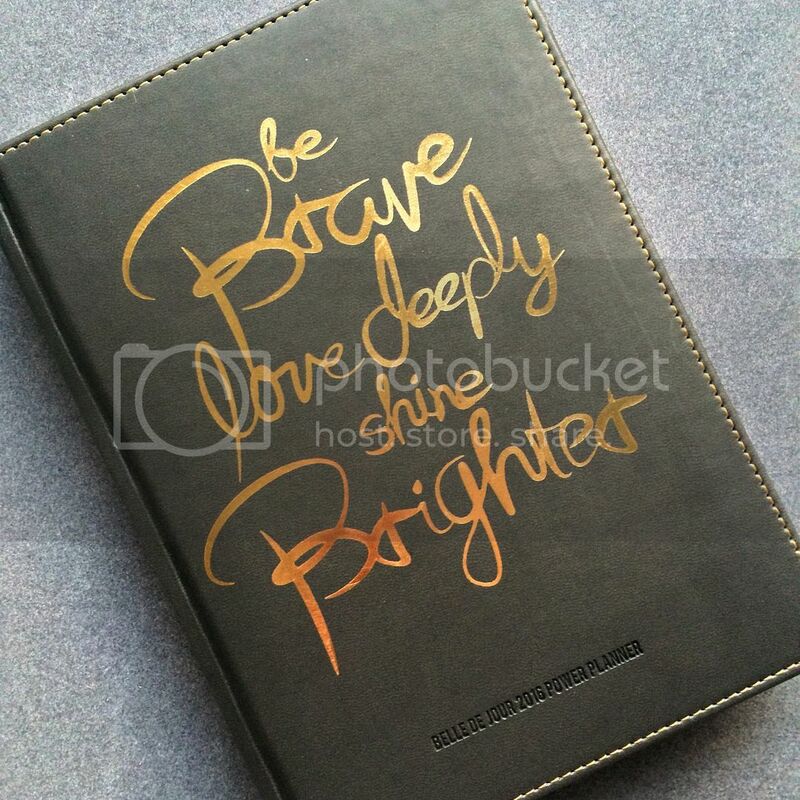 Don't you just love the feel of a new planner? The crisp and clean pages just waiting to be written on. ?I've been a Belle de Jour Power Planner user for three years now. This coming year 2016 would be my fourth. I first learned about BDJ planners way back in 2012. I came across their page on Facebook and saw photos of the planner and the lots of coupons that came with it, and I knew I wanted one! Unfortunately I wasn't able to buy that year, but I made sure to get one for the next year during the 2012 BDJ Fair, which I posted about *here. 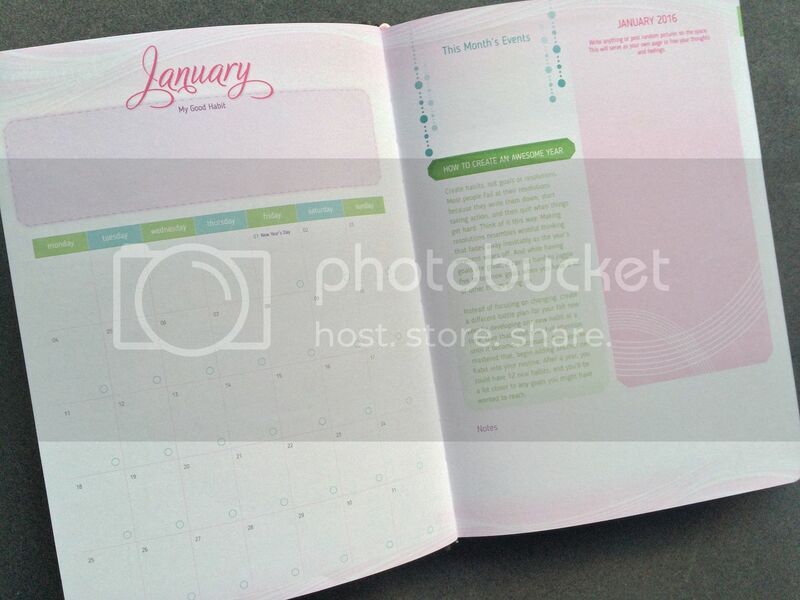 * Since then, it's been part of my December tradition to get a BDJ planner for the next year. If you're still thinking about what planner to get for yourself or maybe for your sisters or girl friends, maybe this post can help. Let me walk you through the 2016 Power Planner edition. You can also have your smyth sewn cover personalized with your name or any 8-character phrase (maximum) on it for an additional fee. 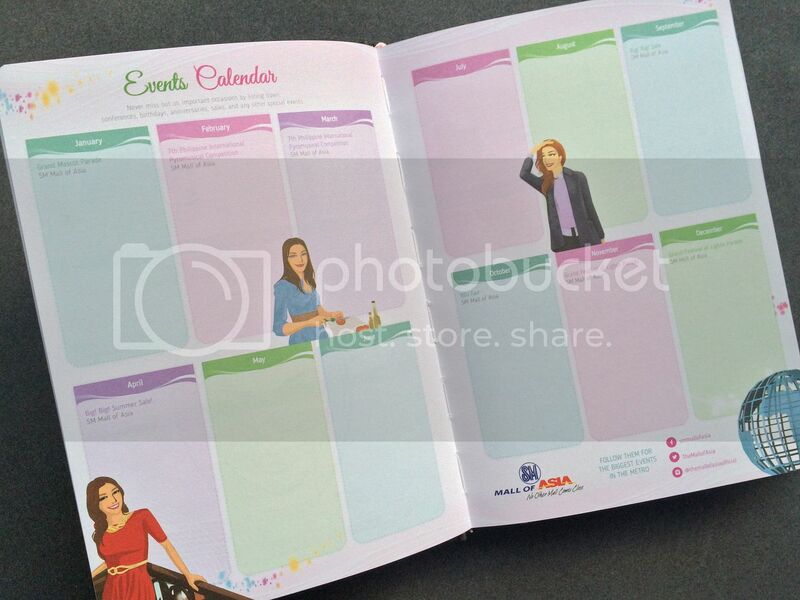 But I saw that they have a year-end promo in celebration of Pia Wurtzbach's recent Miss Universe win, where you can get a free planner customization when you order from December 24 to 31, 2015! This is what the 2016 Exclusive Leather Cover looks like. The text (now in gold) covers up way more space now than the previous leather covers. Let's take a look inside. Here are just some of the pages. I noticed that this year's color theme is lighter and cooler on the eyes compared to last year's bright, warm scheme. 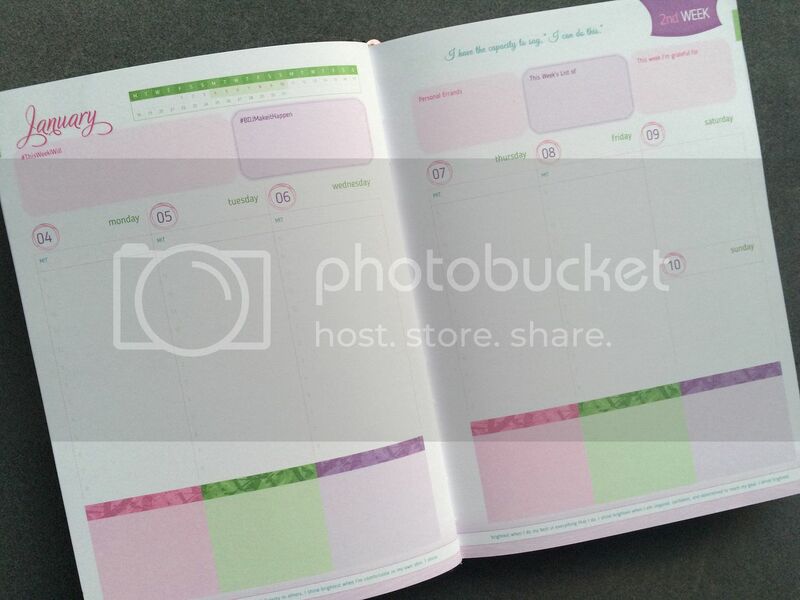 The 2016 planner also comes with free stickers and a magnetic bookmark. And let's not forget the coupons! Unlike the old Power Planners, where the coupons were inside the planners, this and last years' coupons came in a notebook, which is a good call on BDJ's part. Now it's easier to sort through all my coupons without ruining my planner with all the ripping. 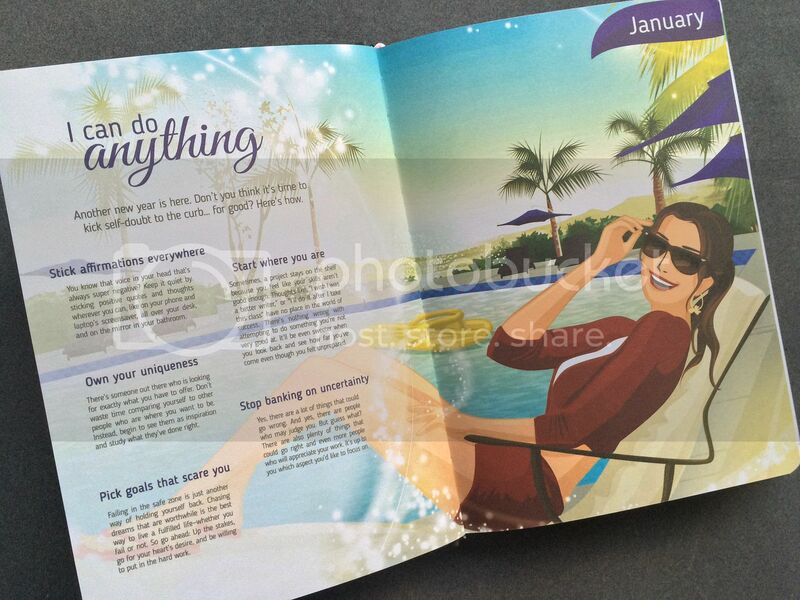 The coupon book is also where you'll find your Lifestyle Card. 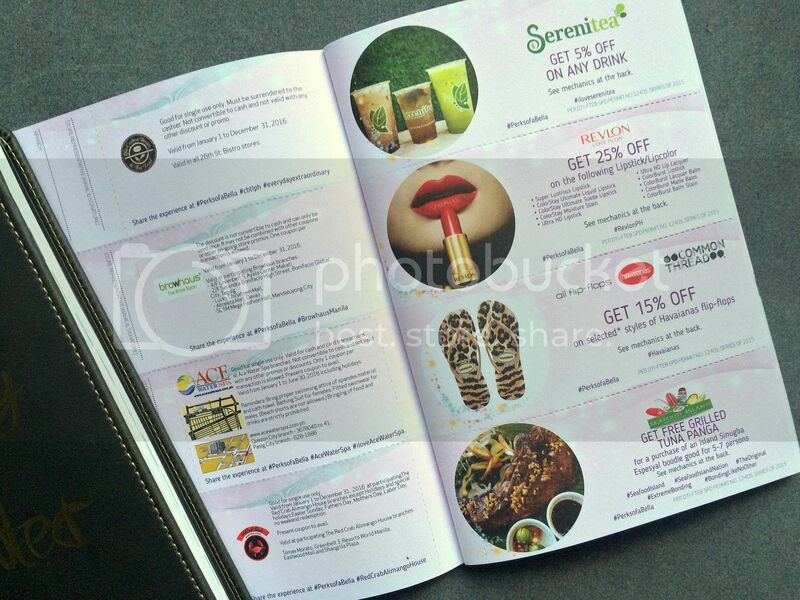 These coupons and the Lifestyle Card, you can use to enjoy exclusive discounts from some of BDJ's partner brands and establishments like Coffee Bean and Tea Leaf, Serenitea, Jamba Juice, Revlon, Celeteque, Keds, Skechers, Ace Water Spa, Goody, Wingstop, TGIFridays, RedBox, and many more. Here's to another year of being a Bella! Happy new year, everyone!